On March 1, 1917, American newspapers published the scandalous contents of the Zimmermann Telegram, a secret German communiqué that proposed a Mexican-German alliance in the event that the United States entered World War I. The note is now credited with helping push the United States to declare war on Germany, but before being released, it went through a complex saga of intrigue involving diplomatic treachery, British spies and backroom political negotiations. Explore the little-known story of how World War I’s most explosive document first came to light. No one in the United States knew it at the time, but before declaring unrestricted submarine warfare, the Germans had also set a now-infamous diplomatic scheme in motion. 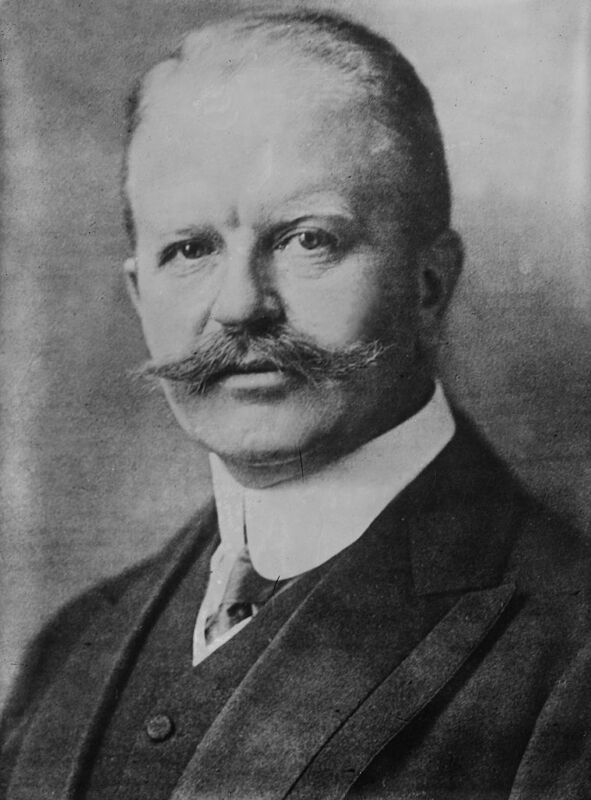 In January 1917, German foreign secretary Arthur Zimmermann had dispatched a secret letter to Heinrich von Eckardt, the German minister to Mexico. The note informed Eckardt that if the United States entered the war on the side of the Allies, he was to begin backchannel negotiations to strike up a military partnership with the Mexicans. In exchange for launching an attack on the United States, Mexico would be free to annex a chunk of the American Southwest. “We intend to begin on the first of February unrestricted submarine warfare,” the telegram read in part. “We shall endeavor in spite of this to keep the United States of America neutral. In the event of this not succeeding, we make Mexico a proposal of alliance on the following basis: make war together, make peace together, generous financial support and an understanding on our part that Mexico is to reconquer the lost territory in Texas, New Mexico, and Arizona.” Along with working to seal a German-Mexican partnership, Eckardt was also instructed to use the Mexican president as an intermediary to flip Japan to the side of the Central Powers. Translated copy of the Zimmerman Telegram. Considering the Zimmermann Telegram’s scandalous contents, the Germans used an unlikely method to transmit it abroad. Earlier in the war, the British Royal Navy had successfully severed the Germans’ transatlantic telegraph cables. Germany had been left with no private communications link between Berlin and North America, but in the interest of promoting peace, the neutral United States had agreed to send encrypted German messages in exchange for a promise that they only contained run-of-the-mill diplomatic instructions. With this in mind, on January 16, 1917, Zimmermann’s office handed their coded telegram off to the U.S. ambassador to Germany, James Gerard. Oblivious to its content, he dutifully wired it to Copenhagen. From there, it was transmitted to London and then to the German embassy in Washington, D.C. By January 19, Eckardt had received it in Mexico City. 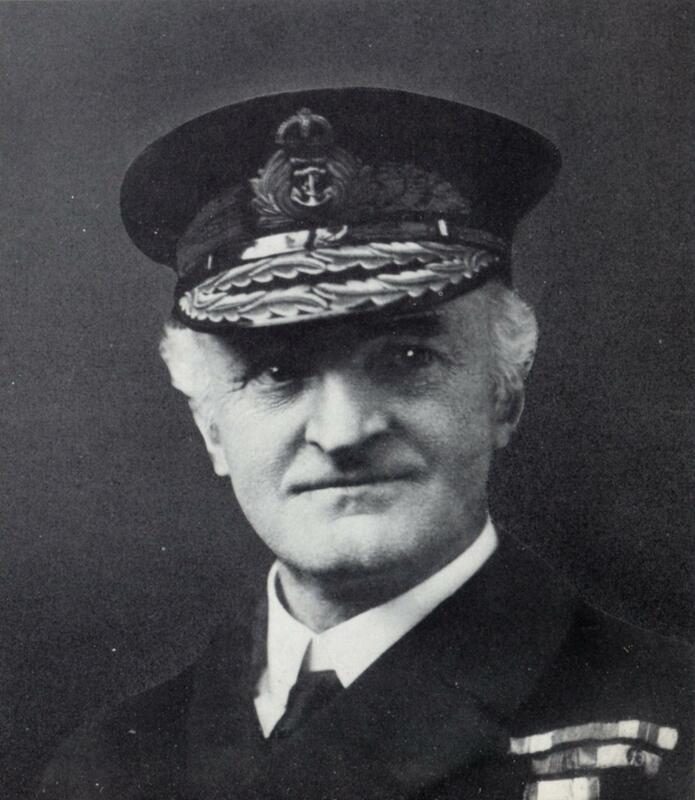 William Reginald Hall, who headed up Britain’s Room 40 code-breakers. Still unaware of the extent of Britain’s eavesdropping, the United States agreed to pass off the Zimmermann Telegram as having been intercepted by its own intelligence service. 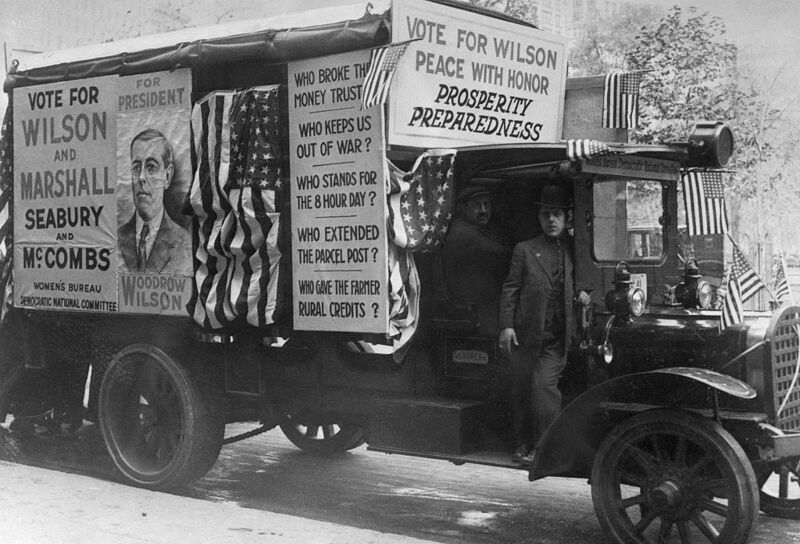 On March 1, 1917, the full text of the note was published in American newspapers. While some of the country’s pro-isolationist publications dismissed it as a British-made fake, others considered it the last straw for American neutrality. “The thing long dreaded has come,” the Los Angeles Times wrote. “We are virtually at war today.” The furor only increased on March 3, when Arthur Zimmermann admitted that he had written the telegram. Many commentators at the time expressed astonishment that the Germans could have made such a serious misstep. 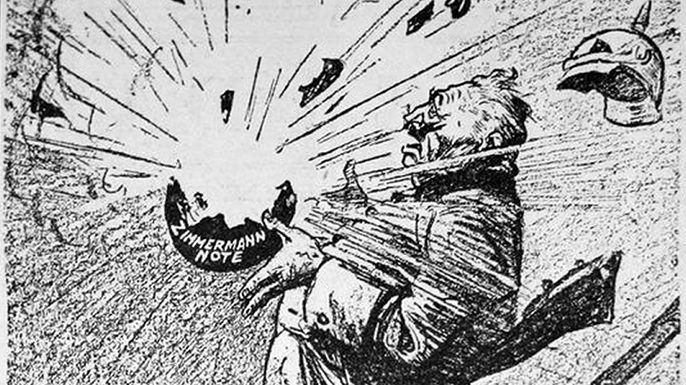 One popular political cartoon even depicted a copy of the Zimmermann Telegram literally blowing up in the face of the German Kaiser Wilhelm II. Cartoon showing the telegram scheme “blowing up” in the face of the German Kaiser.